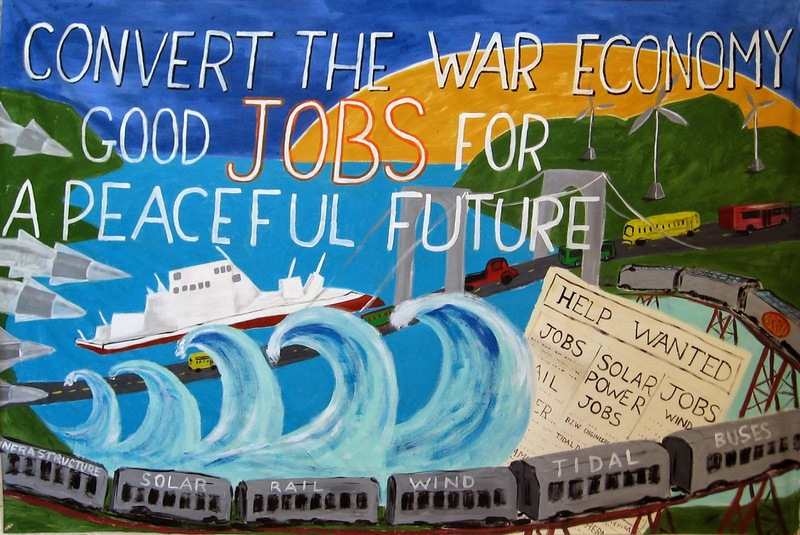 BATH – A newly formed citizens’ coalition based in Bath, Midcoast Citizens for Sustainable Economies (MCSE), presents a Vital Connections forum on June 27 for the exchange of information and ideas about the diversification of Maine’s military manufacturing sector. Experts will review what other states are currently doing to move beyond their dependence on military spending and seed a discussion about the possibilities for Maine. In 2013, the state of Connecticut passed a law creating a statewide planning commission to help the state prepare for conversion from their heavy reliance on military contracts. Additional states are following suit, with Maryland, Massachusetts, Ohio and Michigan, among others, working on similar legislation. · Miriam Pemberton, a Research Fellow at the Institute for Policy Studies in Washington, D.C., who writes and speaks on demilitarization issues for the Institute’s Foreign Policy In Focus project. · Leslie Manning of Bath, an advocate for economic and social justice and the Quaker representative to the Maine Council of Churches. A former union representative and organizer, Leslie served as deputy director of the Bureau of Labor Standards at Maine Department of Labor in a previous administration. · Sen. Margaret Craven of Androscoggin County and co-chair of the joint legislative committee on Health and Human Services. Sen. Craven represents an area where there are many BIW employees and, as a former member of the Appropriations committee, understands the state budget process and our reliance on federal dollars for a variety of programs and services. · Moderator Rev. Bill Barter is the Executive Director of the Maine Council of Churches and Senior Pastor at St. Ansgar's Lutheran Church in Portland. Rev. Barter was born in Bath, lives in Brunswick and has friends and relatives employed in defense industries. Good paying jobs with decent benefits are essential to Maine's economy and communities, and many of our state’s current jobs are with defense contractors here in Maine. Almost 10% of our state's GDP is dependent on military contracting, producing everything from destroyers to footwear and apparel, and providing services such as submarine repair and health care contracting. That reliance on continued spending ($3,303.53 per capita, the fourth highest in the country) makes Maine especially vulnerable to expected reductions in Pentagon spending. Data shows that defense spending is not a reliable jobs creator. In a recent study compiled by the University of Massachusetts, $1 billion in Pentagon spending results in 11,200 jobs, while comparable investment in education results in 26,700 jobs being created. Other sectors fared better, as well: clean energy results in 16,800 jobs, health care creates 17,200 jobs, and even returning that money to taxpayers could result in 15,100 new jobs. We invite the public to take part in the potluck from 5:30 to 6:30 just before the event. The Winter Street Church is located at 880 Washington in Bath, across from the Patten Free Library. Admission is free, though donations will be gladly accepted to cover costs. The new citizens’ group MCSE is pleased to produce their first official event under the auspices of Vital Connections, a public forum that meets quarterly in the Midcoast area. Vital Connections’ participants involved in local self-reliance projects around the Bath/Brunswick/Freeport region of Maine present their work and vision to the public and to one another. Vital Connections forums foster knowledge and awareness of what it takes for our community, and the region as a whole, to reach relative self-sufficiency in basic areas. The forums urge action to follow from the sharing of knowledge and awareness. The basic areas include food, energy, health, education, the arts, local investment and funding, social justice, criminal justice, local government democracy, security and peace. For info on Vital Connections, contact Rosalie Paul at gaia@gwi.net, or 207-406-2273; or John Rensenbrink at john@rensenbrink.com, 207-725-6955.